Welcome to paradise! 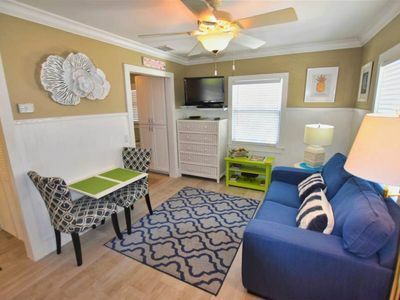 This beautiful three bedroom, two and a half bath end unit condominium sleeps 6 people. 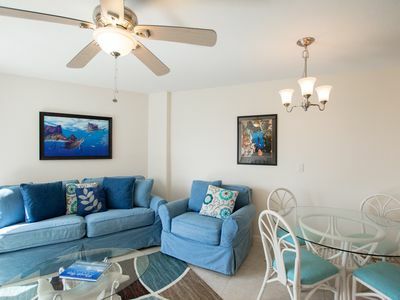 Master bedroom has a king bed with direct access to the water front balcony. Second bedroom has a queen bed and the third has two twin beds. Brand new flat screen HD TVs in living room, master and queen guest! 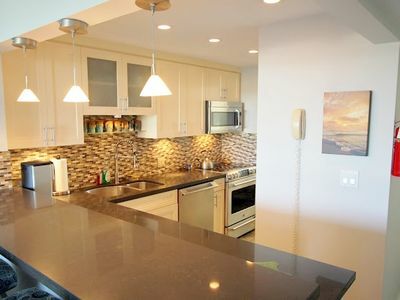 Gourmet kitchen has granite countertops, stainless steel appliances and a great selection of cookware and utensils. 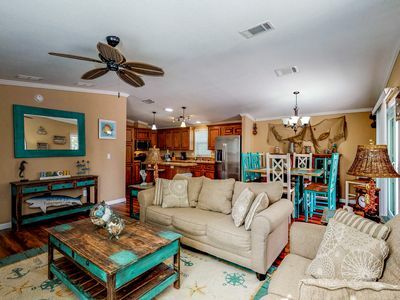 Open floor plan with wet bar and formal dining room. 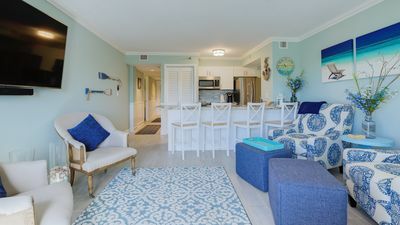 Enjoy your morning coffee or afternoon cocktail with the gentle ocean breeze on the wonderful screened in water front balcony. 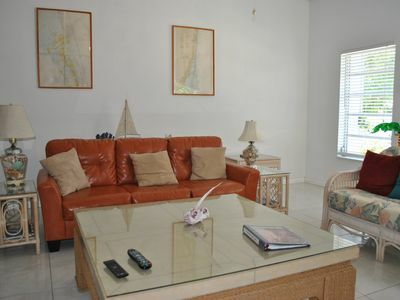 This unit is the model for all of Bay Harbour and is professionally decorated and furnished. 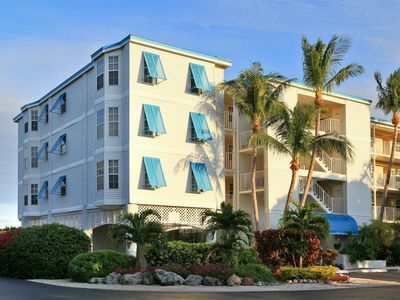 The condo includes all linens and is equipped with a full washer and dryer. 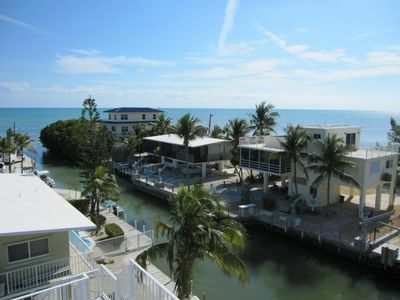 Also included is the use of a 50-foot boat slip in a protected harbor with four-foot control depth. 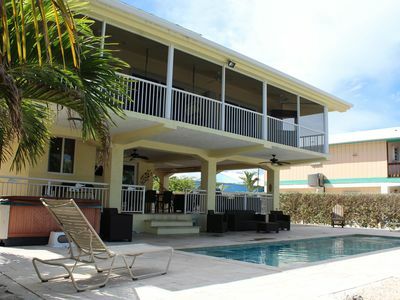 The large screened in balcony looks directly at your boat slip. 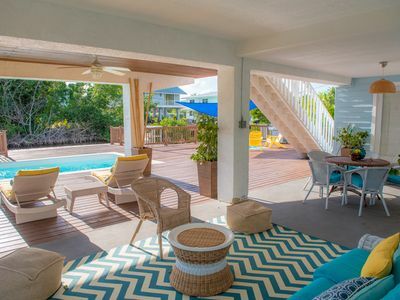 There is immediate bay access and quick ocean access via Channel Two and Channel Five bridges. Fish cleaning stations, shore power and water are also on the slips. A marina is located across the harbor with gas, diesel and bait. 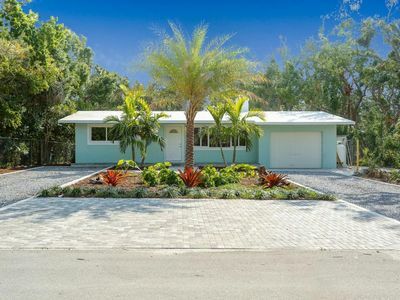 Private gated community with a large heated pool, jetted spa, two lighted tennis courts, clubhouse with fitness center. New stainless gas grills are conveniently located at the clubhouse for grilling your catch! 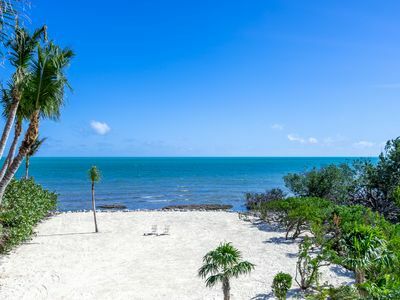 Islamorada is conveniently located 90 minutes from Miami and Key West. 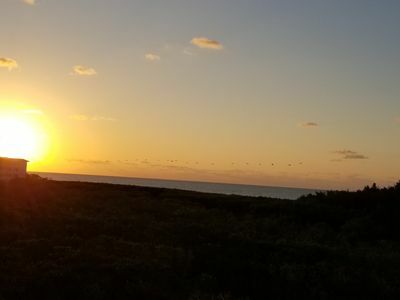 During your visit you can feed the tarpon at Robbie's, enjoy a spectacular sunset at the Lorelei or swim with the dolphins at Theater of the Sea. 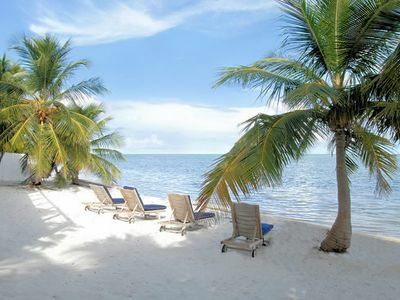 Islamorada is the "Sport Fishing Capital of the World". 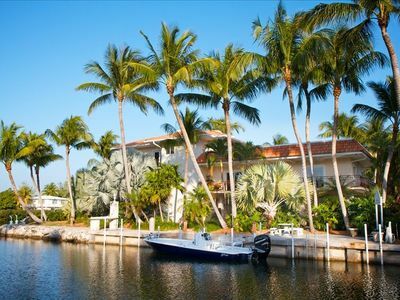 Tarpon, bonefish, permit, mahi mahi, sailfish and sword fish abound in the tropical waters surrounding Islamorada. 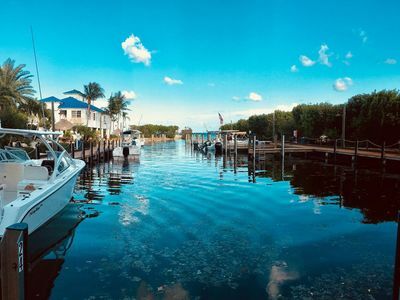 Flats fishing or blue water offshore fishing options are at your fingertips with Islamorada having the biggest fishing fleet in all of the Keys! 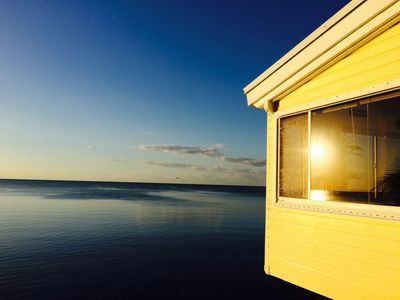 At Bud n Mary's you will find a great selection of deep-sea charters. Or if you prefer the backcountry, visit Worldwide Sportsman for a variety of different guides. 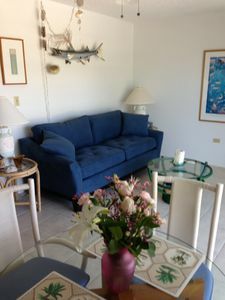 So whether you want to fish, snorkel, dive or just sit by the pool and relax, this condo has something for you. Please note: Bay Harbour does not allow Parking on site for Boat Trailers. WOW!!! 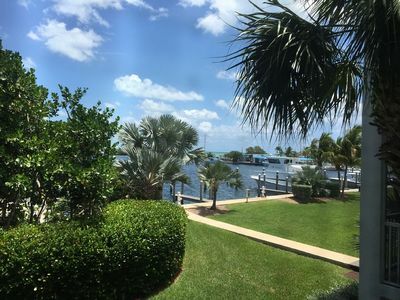 Lo-Key Estate Luxury Home 5/5 Waterfront Paradise !! 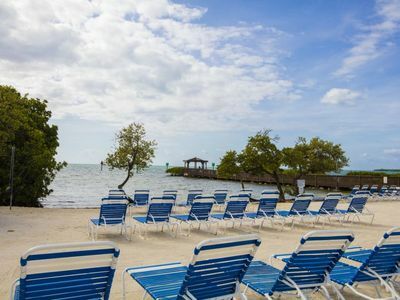 1 br Peaceful Ocean View Retreat in the Florida Keys! 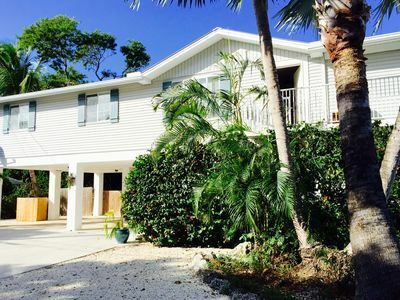 Unique Venetian Shores Home with 3 Bedrooms and Dockage - 122 Valencia Dr.